First, some important news: Congrats to Abby, who was hired at Author Accelerator as Manager of Community Engagement! She's in charge of several upcoming retreats through Author Accelerator scheduled for 2019, so if you've ever dreamed of picking Jennie's brain for a weekend, stay tuned! In this episode of Mom Writes, Abby and Jennie brainstorm her book into a series. 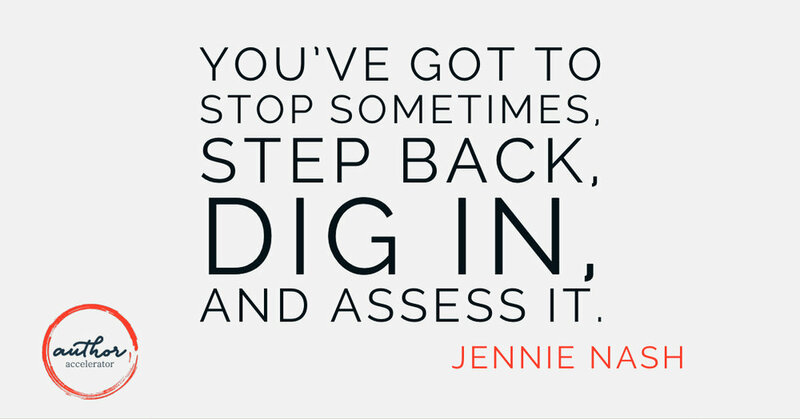 Jennie has a saying that is--while simple--very effective: THINK BEFORE YOU WRITE. Now, we're not treating you like you're stupid. Of course, you think before you write! But we're talking PLAN. You don't have to make a super detailed outline with three different colors and various fonts or anything, but you do need to plan. Know where you're going and what your characters want and how they're going to get it (or not)! Last time we talked about Abby's book she shared with us that she realized that she was not writing one book, but a series! She's had to understand that not only does each book have a an arc, but the whole series has an arc as well. She's been doing some serious plotting and planning in the past couple of weeks, trying to figure out what to disclose to her readers, where to disclose it, and how best to wrap up one story while prepping the next. Abby had this to say about plotting out her series this time: "I learned so much doing Blueprint the first time that while it wasn't easy, the process and how iterative it was, was not daunting to me." The question is, how much of the series do you "bake in" to your first book before you write the following books? "Baking in" refers to the story building and world building you do - the why and the how of the plot and character motivations. What drives your characters to do what they do? What moves the story forward? You have to know these things in book one, so you can use these things when it comes to writing subsequent books in the series. Jennie gives Abby some homework so she can find out what her characters want, and what they know and when they know it.